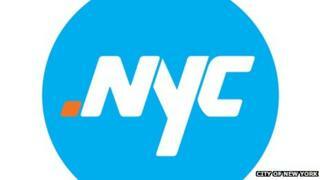 New York City is to get its own domain name, enabling local businesses and residents to starting using .nyc. The city's petition for the creation of a .nyc domain name has been approved by net address regulator Icann. This "puts New York City at the forefront of the digital landscape," said Mayor Michael Bloomberg. New York is one of the first cities in the world to be granted approval, which will make it easier for people to search for organisations and content. Applications to use the domain will open in late 2013, and in order to register, applicants must have a physical address in New York City. A website - www.mydotnyc.com - has been set up to help interested residents and businesses with the application process. Christine C. Quinn, a potential hopeful to succeed Mr Bloomberg as mayor, had pushed for the creation of domain in 2009 as speaker of the city's council. "With a new top-level domain name, New York won't just be the greatest city in the world — we'll also be the greatest city on the internet," said Ms Quinn. Mr Bloomberg has made expanding the city's burgeoning technology sector a signature part of his third term as mayor. Several other cities, such as London, and Paris, have already passed Icann's "initial evaluations."